The ROV-1 is now in Australia for rebuilding and I want to continue with a new one. This one will have more thrusters, 2 for up and down motion and 4 on the corners for propulsion and manoeuvring. The power supply is also 220v. The concept for the main body is not so much different from the ROV-1. A clear PVC tube with on one side a polycarbonate window and on the other side a screw cap. For the cable penetration is now the clamp-on T-piece used with a union coupling as connector. The cables are cast in one side of the union coupling to get a watertight penetration. 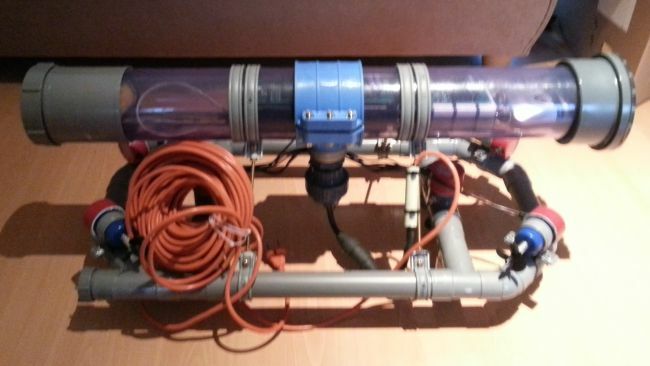 A thruster is made out of a Rule 1100 Bilge pump (24V, 69 litre/min) with a Robbe propeller 3-blade M4 50mm Left or right handed according the mounting position, attached by a Robbe Navy coupling (�17/�25). To get access to the shaft, the mud guard, impellor housing and impellor are removed. To view the live movements of the ROV an IP camera is used and the pictures are available in a web browser. The camera to use in ROV-2 is not decided yet but it must be a high resolution camera and the picture must be seen from the Firefox web browser. Connection possibility to a Qnap network video recorder is a must. As recording camera a GoPro Hero 2 is used. Hopefully with future firmware updates this camera can be used as live camera as well. MD22 motor controllers from Robot electrics are used. They can drive ? ?A at 24V DC. To measure the used current Sparkfun ??? adapters are used. The measurements of the motor current will be used to prevent more current use than the rated value of the 220V power converter. 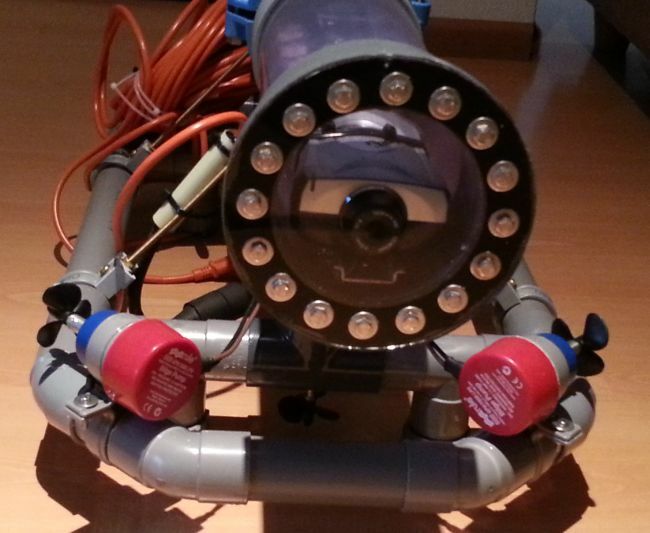 The control system inside the ROV has at base an Arduino board with network interface. The Arduino I2C interface is used to communicate to several sensors and the motor controller/drivers. 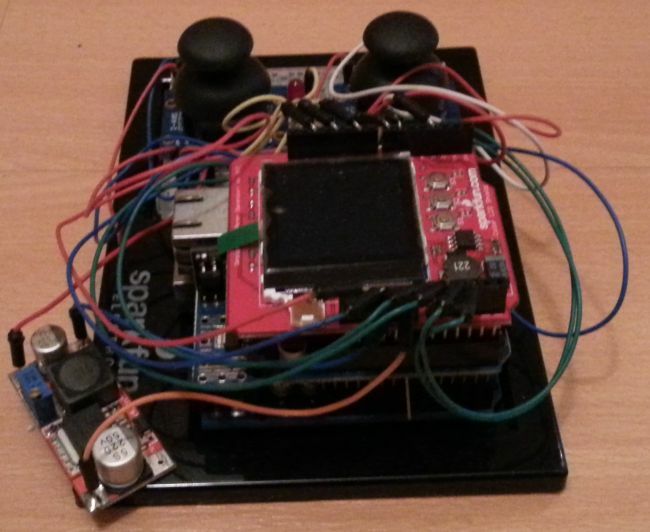 As main controller on the surface is an Arduino with a network interface, LCD screen, joysticks and buttons.